“Edward Lawrence, a Canadian convert to Mormonism, died at the end of 1839, leaving behind six minor children and a pregnant wife. Joseph agreed to serve as the guardian of the Lawrence estate, but critics have sought to portray his behavior in this role as exploitative, or at least negligent. Now, however, probate documents and court records related to the Lawrence family have been located, and [LDS researcher Gordon] Madsen’s article carefully examines those materials. They permit Joseph’s involvement to be investigated step by step. As usual, there is more to this chapter in the Prophet’s life than Dr. Peterson chose to discuss in his short article. Allow me to fill in some of the missing pieces, provided by LDS author Todd Compton from his landmark book, In Sacred Loneliness: The Plural Wives of Joseph Smith. In late spring of 1843 Joseph married both Sarah and Maria, bringing his number of wives to 24. Apparently Joseph’s legal wife, Emma, knew about his marriages to the Lawrence sisters, but she did not know about his earlier marriages to the Partridge sisters (Emily and Eliza). So when Emma demonstrated, via her willingness to accept the Lawrence sisters, that she had become more agreeable to plural marriage, Joseph took the opportunity to marry the Partridge sisters again – this time with Emma’s consent. The public pressure mounted and, as Dr. Peterson notes, Joseph Smith took steps to transfer guardianship of the Lawrence estate to John Taylor. But the transfer never actually happened (in fact, just three weeks before Joseph was killed, an Illinois justice of the peace notarized a certificate stating Joseph was the guardian of the Lawrences). After Joseph’s death on June 27, 1844, the Lawrence sisters tried to get what remained of their inheritance from the Smith estate, but they had no success. All of Joseph’s property (with which the Lawrence estate had been comingled as allowed by law) was in the name of his legal wife, Emma, and she was not willing (or maybe not able) to pay back the funds. In the end, perhaps feeling a measure of responsibility, William Law used his own funds to pay the Lawrence sisters the money Joseph Smith rightly owed them. Does this episode from Joseph Smith’s life demonstrate his “solid decency and integrity” as Dr. Peterson would have us believe? When the dust settles around this affair, the Prophet’s handling of the funds from the Lawrence estate may have been done within the bounds of the law. Joseph may have been generous in his distribution of Edward Lawrence’s money for Edward’s children’s care. 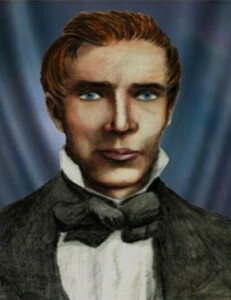 But Joseph Smith added the young Lawrence sisters to his entourage of illegal wives; he lied to his wife, Emma; he physically assaulted Josiah Butterfield in an argument about the Lawrence estate; he lied to his followers (and the world); and he heartlessly denied 33 women who had sacrificed much to become his plural wives — in order to save his own skin. Is all of this to be overlooked because Joseph did not submit a claim demanding to be paid for the “boarding” of his plural wives? After examining the facts, when it comes to integrity, Joseph Smith fails the test. This entry was posted in Early Mormonism, Mormon History, Nauvoo, Polygamy and tagged Church of Jesus Christ of Latter-day Saints, Daniel Peterson, Joseph Smith, Lawrence Sisters, LDS Church, Mormon Church, Mormonism, Plural Marriage, Polygamy. Bookmark the permalink. It would appear that Peterson chooses to ignore the real facts of the episode and instead creates a story that seeks to support what he and other Mormon apologists want the LDS members to believe. So does Peterson know the truth of the matter? There’s a reason why, LDS sect members, once they learn the truth about Joseph Smith become so indignant and angry, feeling that they’ve been lied to. What we see here is not an interpretation of the facts but rather a total mis-representation of what took place. Like anything else in Mormon history: “but he meant well” is likely the initial reaction and excuse to fall back on. They can excuse this by suggesting he ultimately did the right thing. However, that is not clear in the facts that he did the right thing in ‘protecting’ these girls and this family. I know that probably the last thing you want to turn this thread into is an analysis of Daniel Peterson. However I think it’s important to the discussion to understand exactly the mind-set of the person who wrote that article. I’m including the post below from “Mormon Stories” comment section after an interview was done there with Daniel Peterson. It should also be remembered that Daniel Peterson got the boot from FARMS/FAIR i.e. Maxwell Institute. Are you suggesting, Falcon, that even Peterson has integrity issues, too (or at least credibility issues)? That’s the problem with integrity. Poor integrity destroys credibility. So, if Smith did questionable things in this episode, it makes it means its harder to believe other positives, even if genuinely positive, define the man. Yea………..I was trying to be a bit diplomatic. I really can’t figure guys like Peterson out. He obviously is at least a tick above average on the intelligence quotient. So how come he’s of the mind set he’s in? He knows better. But his faith in Joseph Smith and Mormonism results in him making preposterous defenses. His style appears to me to be odd. He went after John Dehlin and I think that may have been just one more nail in his coffin. Let’s haul out Michael Quinn, Grant Palmer, Richard Bushman, Todd Compton, John Dehlin and on and on. They’ve all been in and around Mormonism. They all have a “take” on the religion and an explanatory style. But it seems that Peterson has this really lame approach to explaining the troublesome areas of Mormonism. Anyway, my favorite on-line blog had an article about this some time ago. It seems that even a guy by the name of “falcon” commented. about why Mormon prophets should be considered trustworthy guides in gospel preaching. If I remember correctly a year or two ago he made a statement about Mohammed . He would’nt give a clear yes or no whether we should call the Muslim prophet a false prophet ! know the truth about God / Jesus and how to be saved . Rom 1 :1-9 . Mormon leaders are a text book example of the prophets Jesus said would come in the latter days . Really this is about integrity. I’ve mentioned several times that when I began my study of Mormonism years ago what I was struck by was the institutionalized dishonesty. So when we examine this article written by Daniel Peterson, it’s just more of the same. These guys are masters of the Joseph Smith spin machine and they’re not one bit embarrassed by it. For the naive believer what these guys put out in terms of explanations is just find. They are the equivalent of the modern day low information voter. The faithful do not want to be disturbed. They want to maintain an emotional equilibrium. Remember, the whole program is based on getting a good feeling about what Joseph Smith created. From then on the emotion must be substantiated with some sort of rational thought. The problem is that there is no rational thought in Mormonism. So are these guys just outright liars or are they so blind to the deception they are caught in that their thinking gets twisted? Go back to Joseph Smith and ask the same question. I think that Smith was a habitual liar, an unusually good one who probably believed his own lies. That’s a real dangerous person, to say the least. It’s a real sick pathology but studying Smith’s life, he got an early start. Understand that Smith told one of the women he was seducing that an angel with a sword threatened to kill him if he didn’t take on more wives. He sold people on the idea that he could see buried treasure in the ground with the aid of his magic seer stone. Who tells whoppers like that? Integrity and Joseph Smith were strangers to one another! For a Mormon apologist then to develop a narrative promoting Smith as a person of integrity? Who does something like that? The average Joe Doakes pew sitter in the LDS ward doesn’t know much. They basically repeat what they’ve been told. I don’t hold them to much of a standard except for the fact that they do have individual responsibility to get at the truth. But these guys who travel about, lecture, write and otherwise attempt to hold up the glorious mantel of Joseph Smith, should be held to a high standard. This is especially true when they hold academic positions and have been trained to do research. But what do we get from them? Is it an honest approach to the history of Mormonism? No, it’s not much more than a high school sophomore contending that his favorite team is the best ever and his favorite player can’t be matched. What we get from these LDS apologists is little more than cheer leading. Come to think of it, that’s pretty much what passes for prophetic leadership in the LDS church. I think these guys truly believe what they say but have to suspend logic to affirm their faith. To an extent, it is the same with us, because can’t put God in a cage and show him off to everyone. I’m originally from St. Louis, MO, the Show Me State. MO got that name because the early people were doubters and always asked others to show them something before they believed/bought the idea or product. We can’t ‘show’ God, just as the Mormon cannot show their god. However, a key difference between us and Mormonism is that we don’t have to twist our logic to affirm our faith. We are OK with what we have, and know everything about our God stands against reason. Logic supports our God, and our leaders. We have no spiritual connection to our leaders, and can readily admit their faults without damaging our faith. See, we can agree with folks who say someone like Calvin was a hard, ruthless man when it comes to certain areas of his life. Mormons can’t do that. They cannot defend faith without ignoring real faults of its leaders. This leads to a dilemma: ignore real faults or short comings in logic or damage the character of leaders, which damages the faith. Either choice leads to a position where integrity becomes an issue. Within the pantheon of Mormonism, though, it seems less an issue to ignore as compared with damaging the reputation of leaders. To outsiders of Mormonism, the questions of integrity still exist and are problematic. What we see in Peterson’s article is an attempt to portray Smith the way the LDS church wants him portrayed. I watched a movie about the “prophet” at the visitors center of the Carthage Jail and it was total Disney fantasy land type stuff. The young couple with a child in a stroller there were just sucking it all up. I’m doing a triple eye roll. There was absolutely no relationship between the legend the LDS church was promoting and who Joseph Smith was. Thus we have Peterson’s snow job on the integrity of Joseph Smith. Only a true believer would accept this version of Smith’s relationship with these girls. Smith had the misogyny play down pat. He knew how to take vulnerable women, in particular, and work his will with them. He used religion as a means to satisfy his own blatant sexual desires. We see the spin that is put on his polygamy when those who are spinning the yarn no better. They will be responsible before God for their part in the seduction of innocent people into this religious cult. Yes, its what the church wants portrayed, and I think, is that Peterson wants the same. He does not want the church portrayed negatively, let alone his prophet, especially his founding (or is that the restoring?) prophet. I think some of these people are quite willing to suspend logic, or are so delusional they don’t know they are doing it. I guess, on a broad level, this discussion is about Mormonism and integrity. Specifically it could be about integrity and the LDS church, integrity of the LDS spinmisters, and/or the integrity of those who are true believing Mormons and repeat the company line because they believe it to be true. One interesting case for me is that of Michael Quinn. He has a doctorate in history from Yale and has written extensively on all things Mormon. He was also excommunicated from the LDS church because of his research and writing. So he knows where all the skeletons are buried, he writes about it, gets excommunicated and guess what? He’s still a believer! Below is an excerpt that was written by Steve Benson and which I found in a couple of different places. So does Michael Quinn have integrity? I’d say yes despite that I don’t agree with his perspective. In fact I’m scratching my head trying to figure out how he can know what he knows, exposes it, but still believes in the 1830 restoration. So here’s some more of Steve Benson’s recollection of his conversations with Michael Quinn. What I’m wondering is what the average true believing Mormon would make of Quinn’s perspective on the LDS church. I think it would be easy to say of Quinn that he’s delusional. But I don’t think that gets at it. For me it’s a question of spiritual warfare that the apostle Paul writes about extensively. It doesn’t really matter how sincere, devout and well meaning someone is. There are millions of bright, sincere and devout people in the world who embrace belief systems at odds with the Gospel of Jesus Christ. What’s dangerous about Mormonism is that it’s a counterfeit gospel. The religious convictions of people of various faiths are easily seen as not being Christian. The LDS gospel is a hybrid version of various thoughts that incorporates enough Christian sounding principles to deceive people. As far as “integrity” is concerned, I think the main difference with Quinn as opposed to Peterson, is that Quinn doesn’t shy away from the facts. He just lays it out there. Peterson and his ilk have to go into over-drive trying to spin what’s obviously incriminating information. The other thing is that Quinn is in a way, at war with the LDS church and the hierarchy where as Peterson is in lock step. Although since Peterson got the boot from FAIR/FARMS, who knows. Quinn, like most devoted Smithites, depends on the “inner witness” for his faith in the prophet. The inner witness with Quinn is more than able to over-come all of the evidence to the contrary. Someone said that Quinn believes that Joseph Smith was a good prophet but a bad husband. That’s creative. It would appear then, that Michael Quinn’s belief in Joseph Smith and the church he founded is rooted in a spiritual experience. Having a “confirming blessing” like he received would only deepen his commitment. In the battle between emotions and logic. Emotions are most often the victor. Here’s a good 18 minute video that gets at the idea of “integrity” with Mormon apologists. it was and thus is in need for a restoration . It has fallen away from truth in significant areas . more power was clearly evident . trustworthy , guidance in teaching gospel truths — Eph 4:14 . But by doing this , Mormon leaders were engaging in what’s known as : the pot calling the kettle black . Joseph Smith’s problem with integrity started early and it carried with him through out his life. It’s called character which recently has been defined as “what you do when no one is watching”. But it seems as Smith went through life that it mattered little whether people were watching or not. He pulled-off some of his greatest cons right in front of folks. The most obvious was his ability to get his “witnesses” to see gold plates that weren’t even there. The dupes reported later that they saw them “through the eyes of faith”. That folks is a great slight-of-hand trick; to get people to see something that’s not there. With Smith’s most ardent followers, it is necessary that they massage reality in such a way that what really took place takes on a different look from the actual event or claims. So in Daniel Peterson’s article, Smith takes on the role of benevolent benefactor and protector of two sort of orphaned girls. Does Peterson know better? I would guess he does but there’s something in Mormonism called “lying for the Lord”. In this case it would be lying for the prophet. It’s a means justifies the end scenario. It works for the truly dedicated LDS member for whom any story is not too far fetched. But for those who would question, it’s not going to make the cut. With these folks, it’s a question of character and integrity and they won’t accept nonsense explanations. Needless to say, these folks don’t last long in the Mormon bubble. find instances where he was kind and generous . But when we look at his life what do we see ? area , namely as a church officer , a teacher of the gospel ? this area in the past , but more and more LDS are troubled and asking some hard questions . Mormons to learn that he had married a large number of women . Prof Petersen is only parroting what his leaders have been telling LDS for a long time . – Pres. John Taylor claimed Joseph Smith ‘s private and public character were unimpeachable . [ Teachings of The Presidents of the Church — John Taylor , p. 83 ] . Joseph Smith . [ Discourses of B.Y. p. 459 ] . Joseph Smith ( and his brother Hyrum ) . [ Jof D v 14 p. 203 ] . This is the type of testimony that Mormons have grew up hearing about Joseph Smith . them to Joseph Smith and Mormonism , do they get enough facts to make a decision ? ” Legacy ” ( 1993 ) and ” Joseph Smith , Prophet of the Restoration ” ( 2005 ) . of these films reveal Smith’s character in a objective manner . Key issues are left out . ” This film comes across as a Disney -type fantasy , not a real balanced account of Smith’s life . With Joseph Smith the unacceptable behavior he displayed was part of a pattern that revealed his character. A good man with integrity doesn’t “marry” women married to other men or adolescent girls. He would have been kicked out of any other religious group except, perhaps, those advocating “free love”. Not only did he display this behavior, but he led others into his sin. A man of integrity doesn’t lead others to destroy the property of another man as Smith did with the sacking of William Law’s print shop. A godly man of integrity would have stood and answered the charges. Smith couldn’t do that because it would have exposed his behavior. William Law is a good example of a man of integrity who would not stand for Smith’s sinful behavior. He called it what it was unlike those who work over-time to try and present an image of Smith that is contrary to the record. Yup that’s it……………..a pattern of behavior. That’s why what we see with Mormon apologists is so insidious. Their is a pattern of trying to recast Joseph Smith and the history of Mormonism into something that only a Disney production could match. The LDS church likes to say that they haven’t hidden anything. Well why is it then that those leaving the church did so after “discovering” this information. Perhaps the motivation wasn’t there on the part of these members but I think we can see why. They are fed a steady diet of hippy zippy isn’t it all just so wonderful; Joseph Smith, the BoM, the LDS church and let’s not forget the current prophet and of course the all important priesthood authority. So the obfuscation and development of the fairy tale don’t go along way to informing the members of what really is the truth. When the truth is presented it’s all about the enemies of the church and Satan leading folks astray. The excuse making is a pattern and eventually it leads to mistrust which results of abandonment of faith in God generally. Next , I examined the teaching track record of Mormon leaders since 1830 . Same verdict . have exhibited a pattern as unreliable as guides . Sincere decent people have been detoured by false prophets into embracing a imitation gospel. Mormons are such people . them as true prophets/ apostles of Jesus whose teachings are true / reliable . [ Ensign mag . Nov . 1974 , p.35 ] . who we must confess to be such today in order to gain His favor . scene . We have Jesus to thank for that .